Skills and abilities: Military training in armed and unarmed combat. 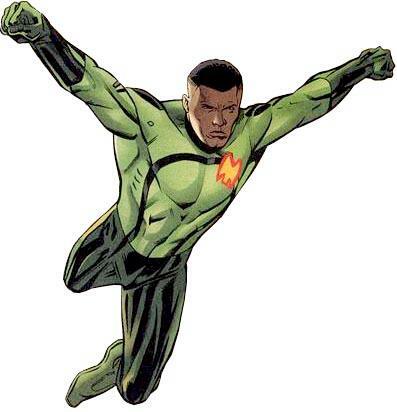 Powers: Outfitted by Lex Luther with a device that allows him to maximize his bodies potential for speed, strength, senses etc to superhuman levels. His limitation is that he can only maximize one ability at a time. He was alter recruited by the Supermen of America where he became possessed by “the unimaginable” endowing him with godlike abilities with which he attempted to ake Metropolis into a Utopia and fought his teammates. His parents later convinced him to relinquish this new power and he remained with the team until the events of Infinite Crisis. He has not been seen in the new 52.